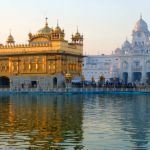 See the highlights of the Punjab and the Himalayas in this private tour of northwest India - including the Golden Temple in Amritsar, the daily Wagah flag-lowering ceremony, the Dalai Lama Monastery in Dharamshala and the beautiful colonial hill station at Shimla - formerly the summer capital of British India. English speaking city guides, private driver & sightseeing included. At leisure to explore more of Amritsar with your guide (pay any entrance fees locally). Depart early for a full day on the road today, as we travel 7-hours through stunning Himalayan scenery to the hill station at Shimla. Your driver will provide any transfers you may need (pay any entrance fees locally).